Zarontin is an anticonvulsant succinimide used in the control of absence (petit mall) epilepsy, particularly in young children. 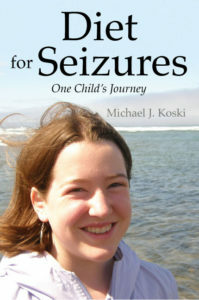 It has no effect against, (or may even worsen), most other types of seizures. It’s generic name is ethosuximide. It’s marketed in the United States by Parke-Davis (a division of Pfizer). The name or appearance may be different in other countries but usually the dose, measured in milligrams, is the same worldwide. Zarontin suppresses the sudden outburst of the three cycle per second spike and wave activity associated with lapses of consciousness. These are common in petit mal or absence seizures, therefore the frequency of these attacks is reduced. This apparently happens because of the depression of the motor cortex which elevates the threshold of the central nervous system to convulsive triggers or stimuli. Most EEGs become normal while a patient is on Zarontin. What is the history of Zarontin? In 1989 ethosuximide began to be analyzed as a preventative for absence seizures. In 1998 it was further concluded that ethosuximide (Zarontin) decreased Na+ current, which was responsible for absence seizures. Zarontin capsules were discontinued in 2007 by Pfizer but syrup preparations are still available. What are the side effects of Zarontin? There is always a possibility of side effects with any medicine. But most people tolerate Zarontin very well. If side effects do occur, usually they’re minor and need no treatment or can be handled by you or your doctor easily. The most common side effects are gastrointestinal and can include diarrhea, weight loss, heartburn, loss of appetite, upset stomach, nausea, vomiting and abdominal cramping. Other possible side effects can include: gum problems, fatigue, headaches, drowsiness, hiccups, irritability, visual problems, and vaginal bleeding. What is the average dosage and cost for Zarontin? Zarontin is taken orally. For patients 3 to 6 years of age, the initial dose usually is one 250 mg capsule per day. For children 6 years or older, two 250 mg capsules daily is recommended. After analyzing the patient’s response, the dose should be individualized. Dosage is increased in small increments. One method is to increase the daily dose by 250 mg every four to seven days until control is achieved combined with minimum side effects. Doses exceeding 1.5 grams a day, in divided doses, should be given under the strictest oversight of a doctor. Most children do best with 20 mg a day. The cost of Zarontin may vary, but one search discovered 100 tabs of 250 mg at $85.00.